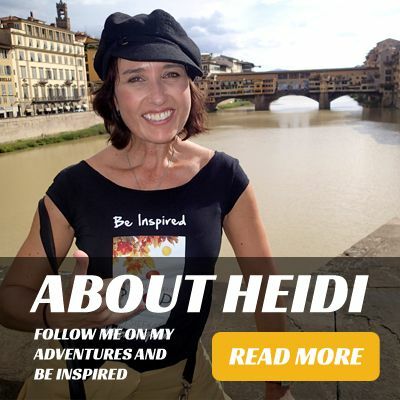 Before you embark on an adventure of a lifetime in Acadia National Park Maine, let me share with you what I learned on Mount Desert Island. 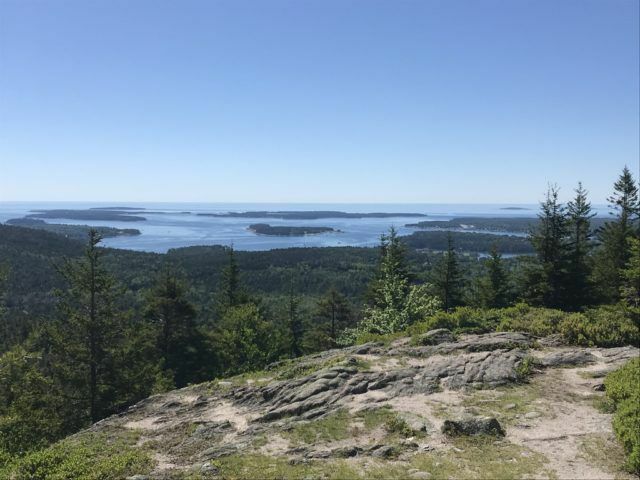 These travel tips of Acadia National Park must-sees, best hikes, and biking routes, as well as things to do in Bar Harbor, will save you some time to maximize your long weekend or three days in Maine. With its 47,000 acre size, it would be easy to spend an entire summer or many summers to scratch the surface of Acadia National Park. However, I'm a believer in helping another adventurer out with a cheat sheet of things to do in Acadia National Park and Bar Harbor. 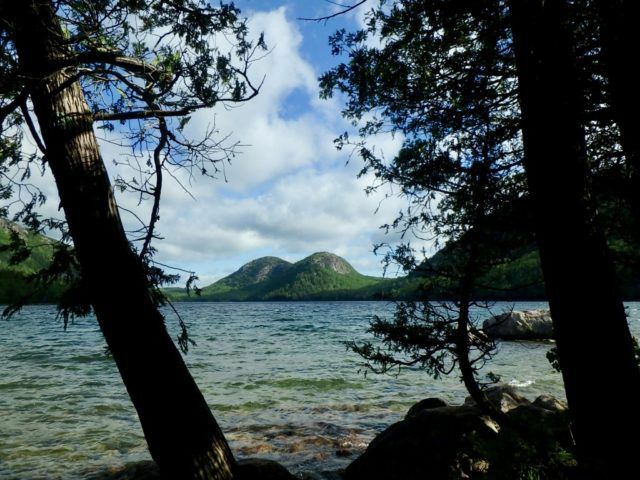 Enjoy this wicked three-days in Acadia National Park Maine post! The majority of the must-sees in Acadia National Park can be accessed by car or using the park's shuttle buses on Park Look Road. From late June through late August, it is wise to park your car and take the Island Explorer shuttles for less headache with parking as well as to give your eyes the chance to take it all of the beauty. Additionally, the Island Explorer has a fall schedule, which continues until Columbus Day weekend. 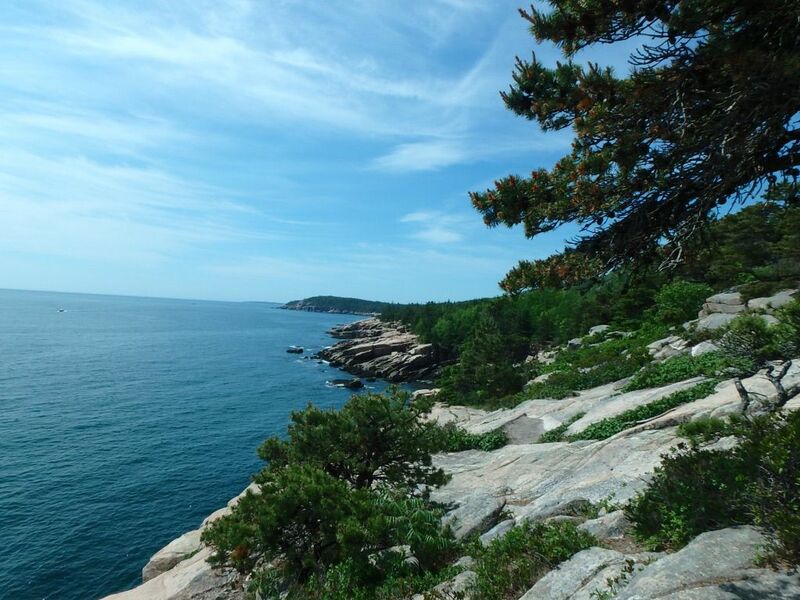 See the Acadia National Park Island Explorer shuttle services here. Cadillac Mountain is the highest point in Acadia National Park. You can arrive at the summit on foot via the North or South Ridge Trails, car, or tour bus. FYI: The Island Explorer buses do not go up the 3.5-mile road to the summit. If you aren't up for the 4-mile hike nor worrying about driving the windy road and parking, you can grab Oli's Trolley tour in Bar Harbor. 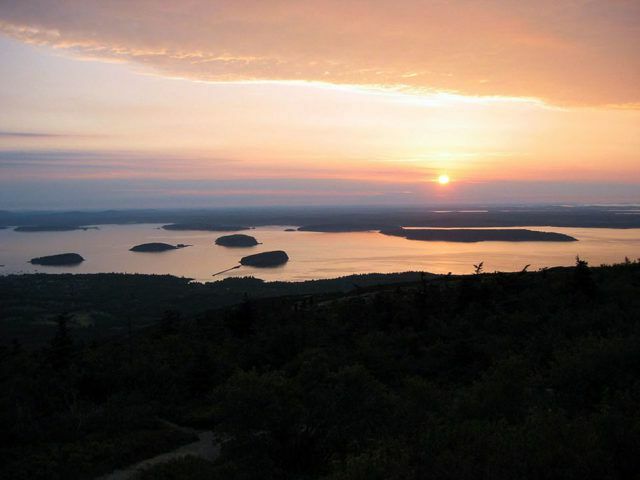 Cadillac Mountain is the best vista of Bar Harbor, its neighboring islands, and lakes of Acadia National Park. 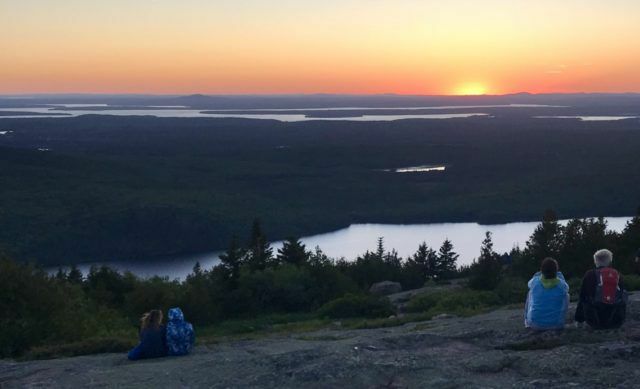 Many people swear that a trip to Acadia isn't complete without summiting Cadillac Mountain. I would agree. However, I took a different approach than many. Countless people recommended viewing the sunrise from the summit. That means getting up at 3:30 am for a 4:30 am arrival to a windy and chilly mountaintop to get a good spot. Although it is famed as the easternmost viewing point and thus the first sunrise in the United States, I'm more of a sunset person. The sunset (seen above) in a great opportunity to drive up to check out the panoramic view from the summit early evening. My suggestion is to drive down to the West facing pullout to park about an hour before sunset (approximately 8:30 pm sunset when I went). We packed a picnic, blankets, warm hats, and hoodies. Jordan Pond is a wonderful stop for a gentle, 3.5-mile walk around the pond. After your stroll or more aggressive additions to your walk (see South Bubble below), you will need some refueling. Although trail mix and other snacks can do, why not treat yourself to lunch or dinner at the Jordan Pond House. Do yourself and your fellow travelers a favor, order popovers for everyone at the table with tea or perhaps even a prosecco. 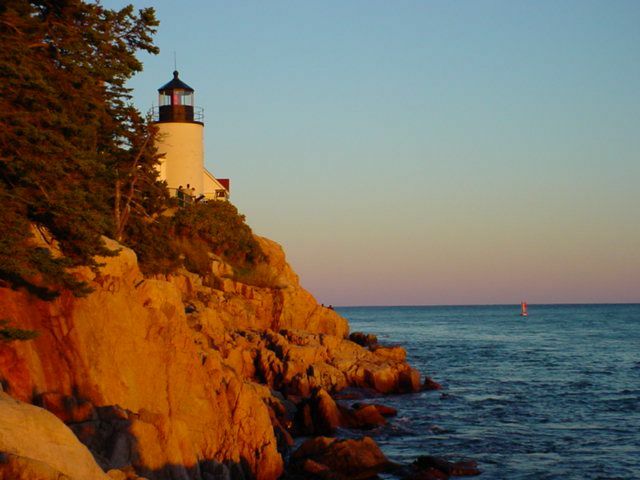 Explore the Southwestern part of Mount Desert Island and Acadia National Park by setting your sights on Bass Harbor and its lighthouse. When you arrive, walk down the cement path to get an up close view of the lighthouse, but don't leave without walking down another path from the parking area that gets you closer to the water. No trip to Maine would be complete without hearing a fog bell. 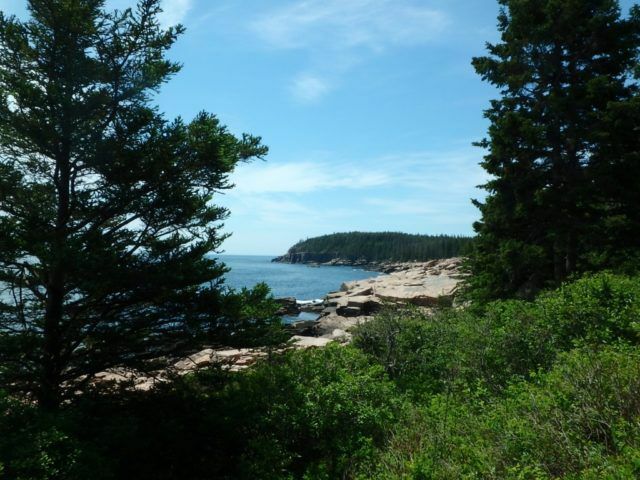 Acadia National Park has over one hundred and twenty miles of hiking trails to enjoy. Be prepared for beautiful coastal views, rocks, tranquil lakes, fire towers, and more. Before you hit the trails, you will want to understand the cairns (shown in picture above). These rock structures are trail markers built with four foundation rocks, which point in the direction of the trail, a perpendicular cross-stone, and then a pointer stone atop, one again showing the way of the trail. I had to ask a Mainer how to pronounce cairns. She said, "just like the phrase pros and cons." Located right on Park Look Road, Ocean Path is a gentle, 4-mile walk along the powerful Atlantic Coastline. I would recommend starting at Sand Beach and walk to Otter Cliff. Depending on the time of day and tides, you may want to stop to witness Thunder Hole. Warning: I visited Thunder Hole twice on two different days at the appropriate time, which is 2 hours before high tide; however, I didn't hear it nor see it. Regardless, I have to say the coastline was enough for me; plus, the people watching at Thunder Hole is priceless. South Bubble can be done as a 1.3-mile extension of Jordan Pond or as a separate hike from Loop Road. As you can see from the picture above, South Bubble provides you with spectacular views of Jordan Pond as well as Cadillac Mountain (not shown). Although some sections are steep and rocky, this was by far my favorite because of the perspective shift. The Bubbles are well-known featured of Acadia National Park. Being atop of South Bubble was surreal. Beech Mountain is located on the quieter West side of Mount Desert Island and Acadia National Park. The Beech Mountain Loop Trail is a 1.2-mile moderate hike that is both kid and dog-friendly. You can choose to take the steeper and more direct route to the summit and fire tower by taking the split to the left. 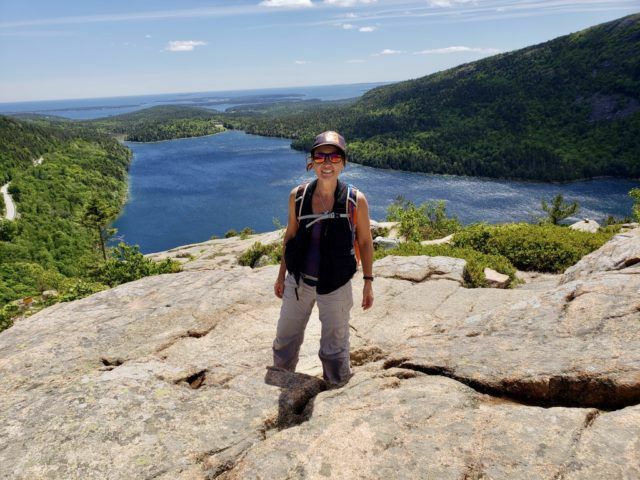 After summiting, taking in the spectacular views, and perhaps climbing the tower, you can complete the loop on an easier trail that also has amazing views of Long Lake. 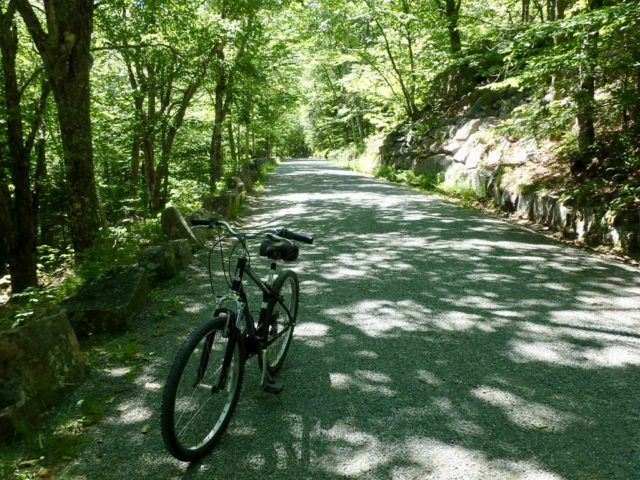 Acadia National Park has an incredible system of carriage roads and bridges for biking, walking, and horseback riding. 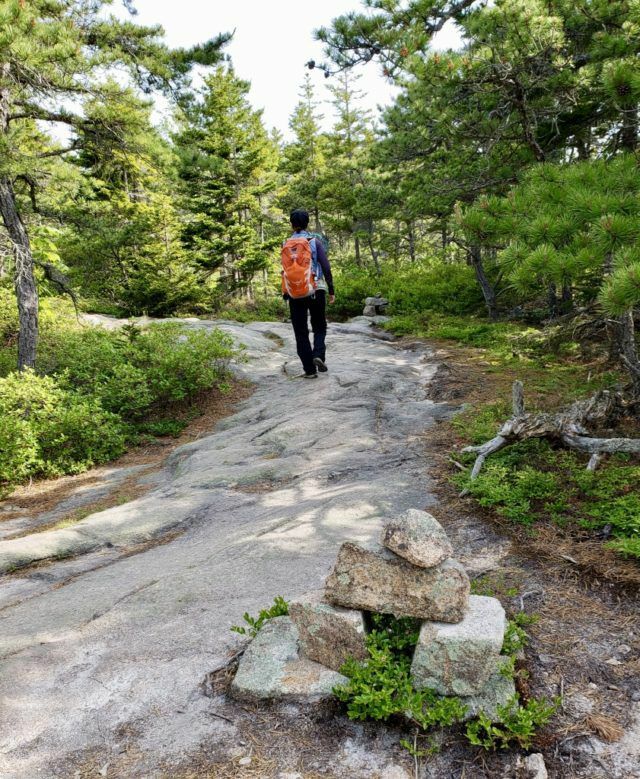 Thanks to the financing of John D. Rockefeller, nearly forty-five miles of trails are available to visitors to the Mount Desert Island and Acadia National Park. Many visitors bring their bikes with them but don't worry you can rent bikes in Bar Harbor. You can review all the carriage roads in Acadia National Park here. However, I highlight my two favorite destinations below. 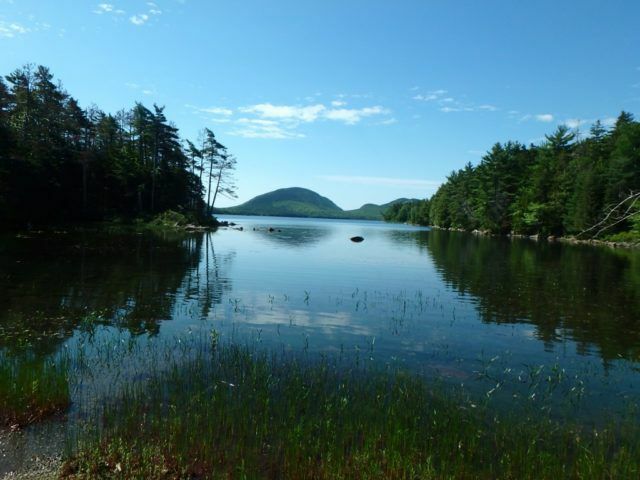 The Bar Harbor to Eagle Lake route is a moderate 12-mile, half-day bike ride. Starting in Bar Harbor follow Duck Brook Road out of town until you pick up the carriage road to Witch Hole Pond. Pass the carriage road marker four and continue to the tip of Eagle Lake and marker six where you will have the opportunity to use the restrooms, take pictures, and decide which way you want to go around the lake. Most recommend going counter-clockwise because of fewer hills. However, I felt it was the same in either direction, potato, patahto. The Jordan Pond Loop can be an addition to the above route or done on its own for a 8.2-mile ride. You can start in Bar Harbor like the previous ride or at various locations close to Park Look Road and the carriage roads. I would suggest parking at Bubble Pond and going clockwise for a pit stop at the Jordan Pond House, whether for bathrooms or a second helping of popovers. 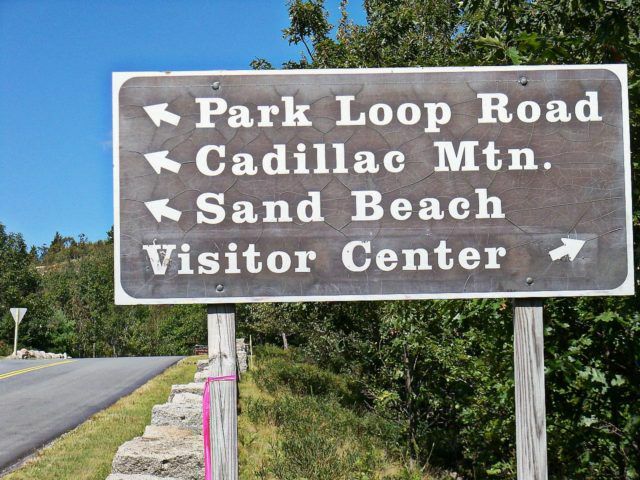 Review the carriage road map to see other options. Tip: always be aware of what carriage road marker was the last one you saw and if traveling with others make sure you have a marker number as a meeting point. 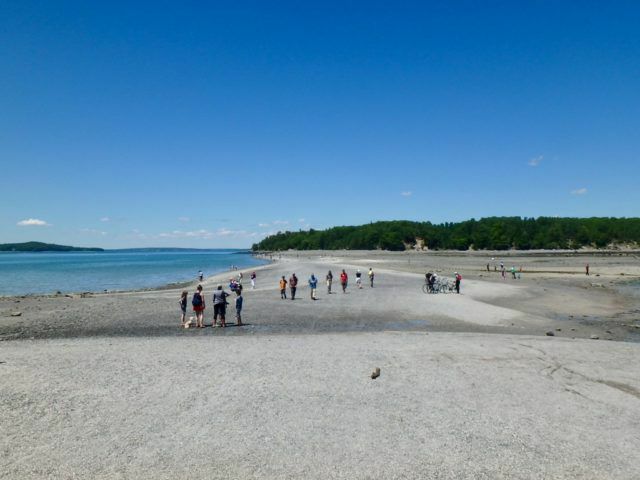 The reason Bar Harbor has its name is for the bar that is created at low tide. This sand walkway only exists for approximately three hours. You can walk safely across and explore the Bar Island 1.5-hours before low tide and 1.5 hours after. 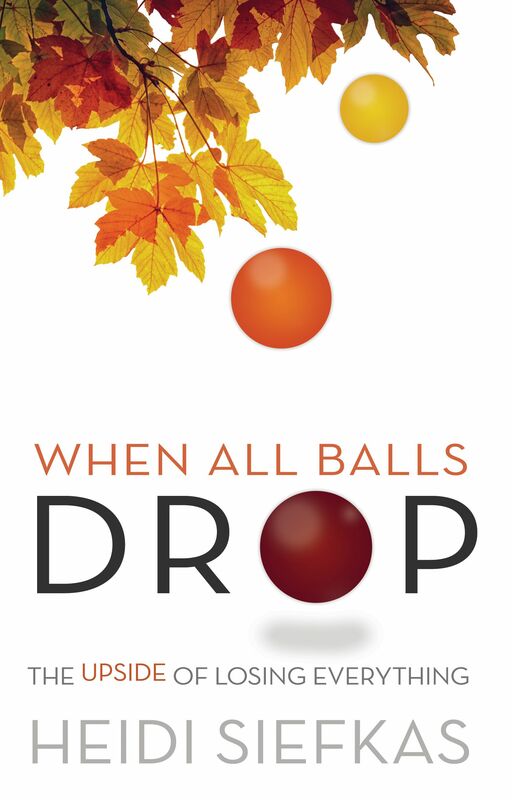 Unlike Thunder Hole, this tidal phenomena is very predictable. I highly recommend doing it. If you are a sea glass lover, test your luck by hunting on the outskirts of the bar at low tide. You may find a treasure. 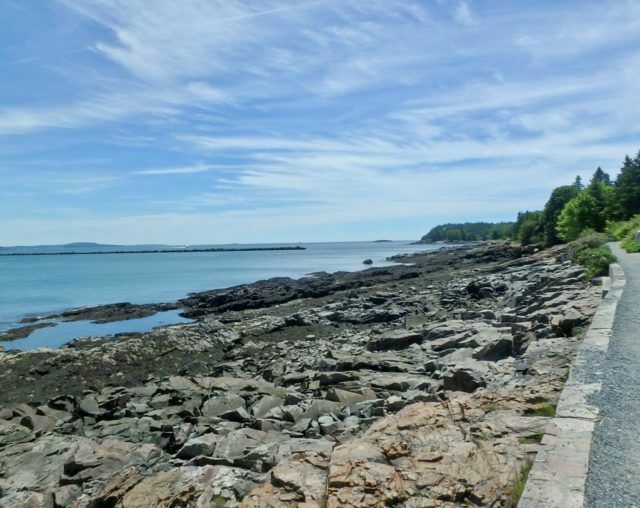 The Shore Path is a paved 3/4 mile path that starts at the Bar Harbor Pier and follows the Atlantic Coastline. This is perfect for any visitor. It is stroller, wheelchair, and dog-friendly. 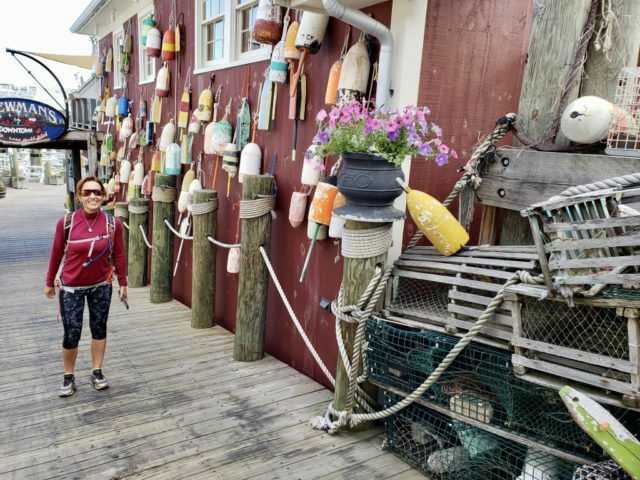 Plus, if you are looking to get away from the busy shopping and entertainment area of Bar Harbor, the Shore Path is a pleasant and close escape. 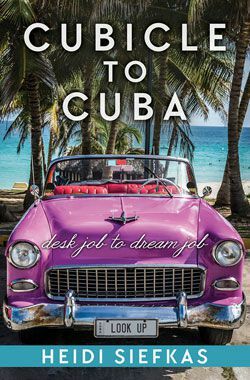 Havana is the best fine dining and mixology with a Latin flare in Bar Harbor. BTW, the Obamas have eaten at Havana. Drink local at the Atlantic Brewing Company - Visit the downtown Bar Harbor location for food and local craft beers or take a brewery tour in Town Hill. Before you embark on an adventure of a lifetime in Acadia National Park Maine, be prepared to fall in love with it. Three days is not nearly enough time to explore all of its beauties. So, you'll need to plan a return trip. 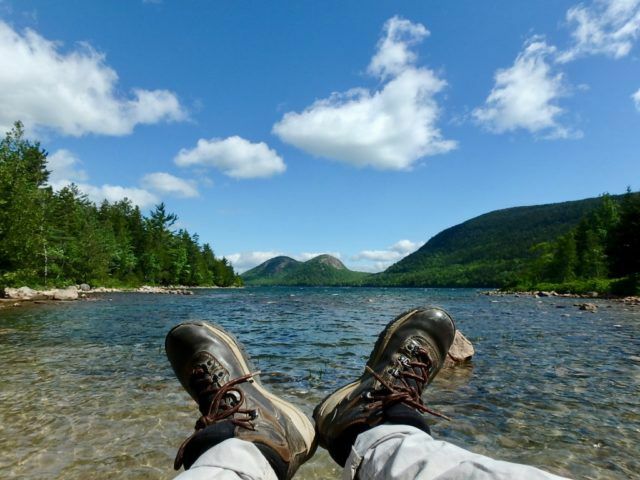 If you liked what you read so far, you may want to read this inspirational story about hiking boots and Look Up from Acadia National Park!